As you grow up, you will start to hear the terms saving and investing. Many people believe that these terms mean the same things, but they are two completely different concepts. 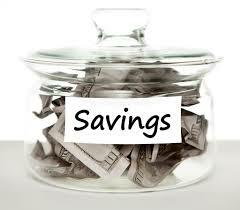 To save means that you put your money aside in a very safe place to use it for something in the future. You save money to not spend it, lose it, or give it away right now. 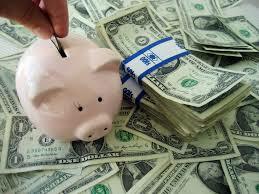 Saving is safekeeping your money until you need it later. It is not meant to earn money while you wait over this period of time. The main goal is to not spend it. It is your cushion to protect you from emergencies that might require money. To invest your money means that you put it into an investment of some type that will make the money grow in value. The goal of investing is to earn money on your money, not safekeeping. There is a risk with investing, however. A return is earned because of the uncertainty of the investment. There may be potential to lose a portion of your money if the value of the investment goes down. The riskier the investment, the higher the return, but you must also deal with a higher risk of loss. There is a simple way to learn how to save and invest. It is important to begin learning about money by learning first to save. For a month collect all the money you get and figure out how much, on average, you’ll get each month going forward. Remember to include gifts, allowance, and any money earned for chores or allowance. Next, set up 4 containers and label them “Savings”, “Investing”, “Charity”, and “Spending”. Each time you get money, think about what you want to buy over the next few months. Set some goals for yourself so that you are not spending more than you are able to save. For small items you buy right away without really thinking about it, like a juice or candy bar, put aside some money for those in the “Spending” jar. For larger items, such as an outfit or video game, that you want to buy in the next few months, put some of the money you earn in the “Savings” jar. For presents and donations to friends and charities, put some money in the “Charity” jar. Finally, put the leftover money in the “Investing” jar. For the next several months only use the money in the jars to purchase the items on the labels. Adjust your input into each jar by what you see happening as you go along. If you are running short on money for your candy, put less in the “Savings” jar, etc. until you are happy with how each jar is growing. At the end of each month, the “Spending” jar should be empty or you should shift some more money to the other jars. Try it out. You’ll learn how to save money in no time. Next, set up a real bank savings account to purchase that outfit or building set you want in the next year. Have a goal and put some money in a savings account. You can park your savings in an FDIC insured checking account, money market account, savings account, short-term certificate of deposit at a bank, or United States Treasury Bills. Once it is in there, you’ll know that it is in there so you don’t spend it, and you’ll remember that you have a goal. Once you reach that amount, you can run out and get your item and start your savings again. After you have practiced how to save, take a little bit of your money and invest it in something a little riskier that will earn you money on the money you set aside. Your parents or a banker can help you with this next step. Always remember that you always want to have a savings account FIRST so that you have an emergency cushion and easy access for spending what you plan for in the near future. Think about something you’re interested in. Perhaps if you like GAP clothes or LEGO building sets, you’ll decide to invest in their stocks. Your investment money will be the money that will not be missed very much if the value declines and you lose it. Investment money is usually put away for a fairly long time, so this will not be a part of the money you intend to spend within the next year. You can put this money in longer term Certificates of Deposit, collectibles (such as comic books, coins, or art), stocks, mutual funds, bonds, or other riskier investments that your banker or parents can help you with. Remember that some investments are riskier than others so make sure you understand your investment. Next, watch your money grow. I hope now you understand the difference between savings and investing. This will help you meet your goals quicker in the future.